Cricket Ireland is happy to let its players and staff travel to Bangladesh later this month. 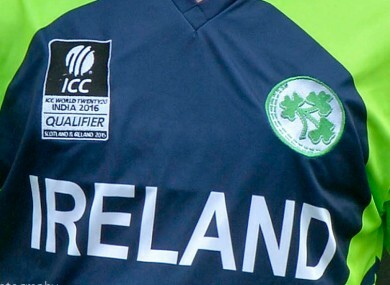 AFTER RECEIVING ASSURANCES over the safety of its players and staff, Cricket Ireland have accepted an invite from the International Cricket Council (ICC) to send a team to the upcoming Under 19 World Cup. The competition will be staged in Bangladesh between 27 January and 14 February and the 2016 edition will now see an Irish team participating for the first time in four years. Cricket Ireland were offered the opportunity to take part in the prestigious tournament yesterday after Cricket Australia withdrew their team over security concerns. Australia’s senior men’s team had cancelled their tour of Bangladesh last October and determined it was unsafe to send their U19 squad to the country for the 19-day global event. Cricket Ireland expressed reservations about the invite and Chief Executive Warren Deutrom spent yesterday consulting with the Department of Foreign Affairs to assess the level of risk. He also worked closely with the England and Wales Cricket Board and Cricket Scotland, both of whom are sending teams to Bangladesh. “Firstly, we are grateful to ICC for extending the invitation to us to participate in the tournament,” Warren Deutrom said in a statement this morning. “Given the circumstances of the invitation, however, it was important that we used the brief time we had to investigate the safety and security situation in Bangladesh. “While we are fully aware of the heightened security risk in the country, all we can do is rely upon expert advice, which tells us that the tournament security plan appears very comprehensive – an estimation supported by the independent assessments we have seen. Cricket Ireland examined the ICC’s security report ahead of the tournament and were satisfied with the measures being implemented. “We are most grateful, in particular, to ICC and ECB for sharing their security intelligence with us, which has helped us considerably to reach a determination and to share appropriate information with squad members and their families. “Of course, squad preparation and logistics are equally pressing matters, but we are trying to work around these as effectively as possible given the short timeframes. Ireland will replace Australia in Group B alongside India, Nepal and New Zealand and will play group games in the cities of Mirpur and Fatullah. Jack Tector’s side narrowly missed out on automatic qualification last year after losing the ICC Qualifier tournament final to Nepal. Ireland have played at seven previous U19 World Cups with current internationals William Porterfield, Gary Wilson, Kevin O’Brien and Boyd Rankin all featuring at the 2004 competition. England One-Day captain Eoin Morgan also represented Ireland at that tournament. Ireland will begin their campaign against India on 28 January. Email “Ireland to send team to World Cup in Bangladesh after assessing security risks ”. Feedback on “Ireland to send team to World Cup in Bangladesh after assessing security risks ”.